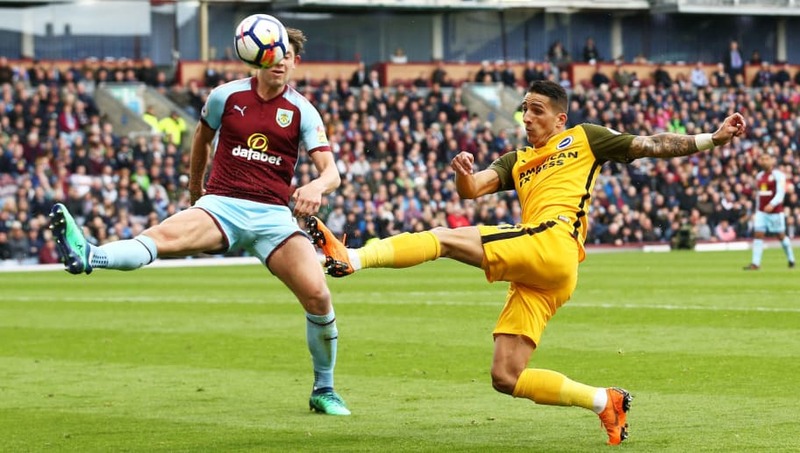 ​They say the plus side to a busy fixture list is you have the opportunity to bounce back immediately, and that's exactly what Burnley will be hoping to do when they host high-flying Brighton at Turf Moor on Saturday. Suffering from a prolonged hangover from last season, the Clarets improved massively for Wednesday's match with Liverpool, but were ultimately outclassed, losing 3-1 after being 1-0 up heading into the last half hour, and sit in 19th place as a result. ​Brighton, meanwhile, have had opposing fortunes. A win over Crystal Palace during the week smuggled them into the top 10, and they sit 12 points ahead of their weekend opponents, hoping to stretch that margin by a further three by the time they leave the Black Country on Saturday evening. Check out 90min's preview for Saturday's clash below. ​Burnley have no fresh injury or suspension concerns, with long-term absentee Nick Pope the only man confirmed to be on the sidelines for Saturday's game. Brighton, meanwhile, have Shane Duffy out serving the first of a three game ban for his sending off in the win over Palace, and have doubts over Glenn Murray, Jose Izquierdo and Bruno. Dale Stephens is available again after suspension however and there is hope Alireza Jahanbakhsh could be fit to make the squad after missing four matches with injury. The two sides have only faced one another twice in the Premier League, having spent most of their respective histories together in the lower leagues. Both top flight meetings came last season, and each ended 0-0. Not the best omen for Saturday, is it? Over the years, it's a different story however with Brighton winning ten and Burnley nine of the 31 fixtures between the two, dating back to 1961. Burnley have struggled big time after what was a historic 2017/18 campaign, and have picked up only nine points so far this season - one from the last 21 available - consigning them to 19th place in the ​Premier League. They're ahead of bottom-placed Fulham only on goal difference, and with the London side amidst a mini-revival under Claudio Ranieri, they could be in trouble. Brighton are flying, meanwhile, having taken seven points from their last three games, and sit comfortably clear of danger. Here's how each side has got on in their last five games. As much as Burnley are struggling, they did enough against Liverpool to convince you they've still got a bit of last season's spirit about them, and if they can channel that against Brighton then they have a chance of getting a much needed result. Having said that, Brighton have looked like one of the toughest sides to beat outside the current top six. They don't go down easy, and have the quality in the attacking third to punish you if you fail to find a way through. It'll be tight, and even with Burnley's desperation for points and Brighton playing relatively free from pressure, it won't all go the home side's way. So we're sitting on the fence.